The holidays can be stressful for anyone, but even more so for those caring for loved ones with Alzheimer’s or dementia. If you’re a caregiver for someone living with memory impairment, chances are you’re going to experience burnout to some degree this holiday season. Here are six ways caregivers can deal with burnout, stress and anxiety during the holiday season. You’d be surprised what thoughtful breathing can do for your mental, physical and emotional health. When you feel yourself reaching a breaking point, take a moment to simply breathe. Not sure what stress-reducing breathing exercises look like? These techniques are a good place to start. Studies show that listening to 30 minutes of music a day—in any genre and not necessarily consecutively—can have significant calming effects. And, unlike other coping strategies, you can take music with you wherever you go. Cooking a meal for the family? Turn on your favorite classical station. Driving your loved one to another medical appointment? Play some favorite tunes. Music helps clear your mind and remind you what’s important. While the holidays are undeniably stressful for caregivers, they have the potential to be one of the most restorative times of the year. Take advantage of the extra helping hands when extended family comes, and let them help with the daily caregiving tasks. Allowing others to care for your loved one while they can provides them an opportunity to make memories with that loved one, while also giving you the opportunity to take a break. Most health studies suggest that 30 minutes of physical activity a day can help reduce stress. However, for many caregivers, devoting this extended amount of time to yourself is often unrealistic. Instead of giving up on your own physical health because you don’t have time to visit the gym, take just five minutes to walk around the block by yourself. The fresh air and physical movement will clear your mind and give you renewed perspective. As a faith-based nonprofit senior living provider, prayer is the coping strategy we find most effective for caregivers serving loved ones with Alzheimer’s or dementia. Pray with family, with your friends or by yourself. Pray for strength and peace. 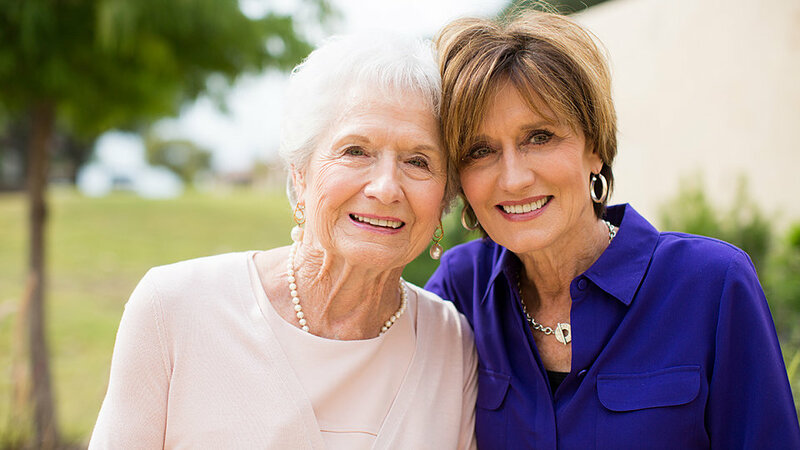 For more resources on coping strategies for caregivers, check out these helpful articles from The Mayo Clinic and AgingCare. Or, call your local Buckner senior living community to learn about support group opportunities near you.